The USDA data reveals that the number of participants in the Supplemental Nutrition Assistance Program (SNAP) plunged from 41,374,348 in December 2017 to 40,032,131 in February 2018—a decrease of 1,342,217. Food stamp enrollment has dropped by more than half-a-million for the second month in a row in fiscal year (FY) 2018; last month’s data showed that 608,039 discontinued their participation in SNAP. The continued decline in enrollment during these past few months is on pace with the steady decline in SNAP participation since 2013. Before then, participation in the federal welfare program swelled to 47.6 million—the highest amount it has ever been since former President Lyndon Johnson authorized the creation of the food stamp program in 1964. Taxpayers spent $79.8 million on SNAP when enrollment reached its peak in 2013. After 2013, enrollment in SNAP declined as states passed laws requiring food stamp recipients to work, volunteer, attend school, or take part in job training for a set number of hours a week to receive food stamps. The improving economy also contributed to the continuing decline in food stamp usage. 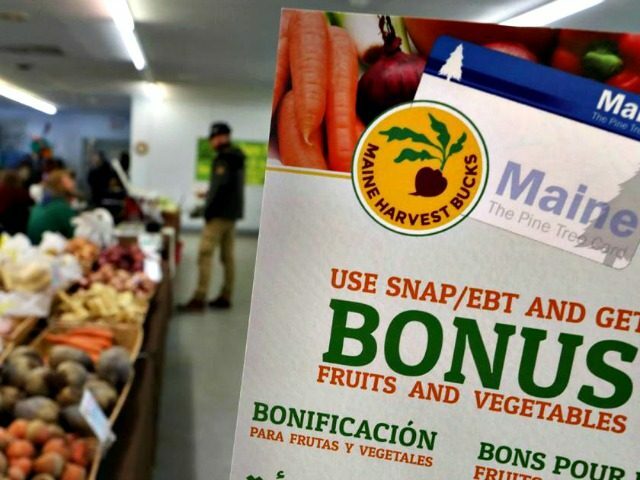 This decline seems to be continuing under the Trump administration, with more than two million benefit recipients discontinuing participation in SNAP during President Trump’s first year in office. The USDA data shows that since February 2017—Trump’s first full month in office—food stamp enrollment dropped by 2,257,235.